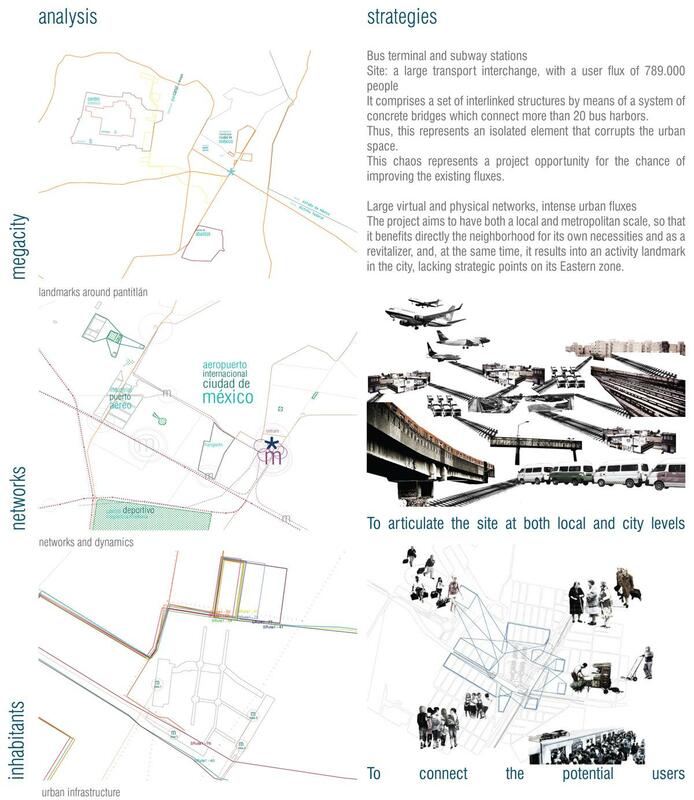 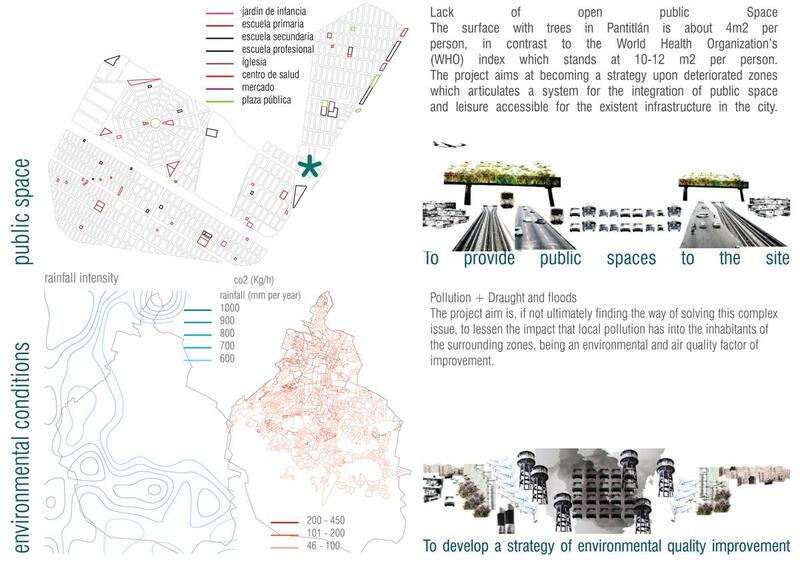 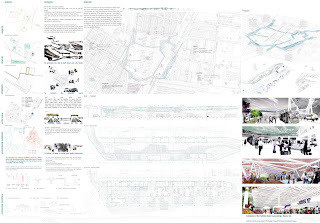 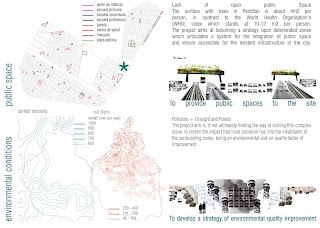 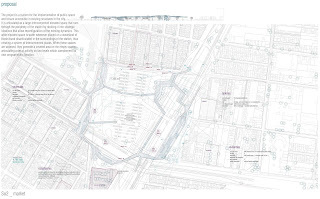 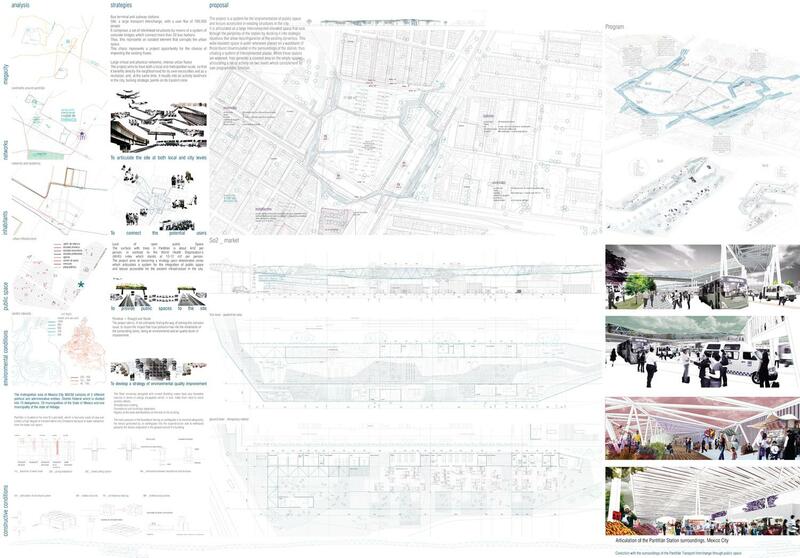 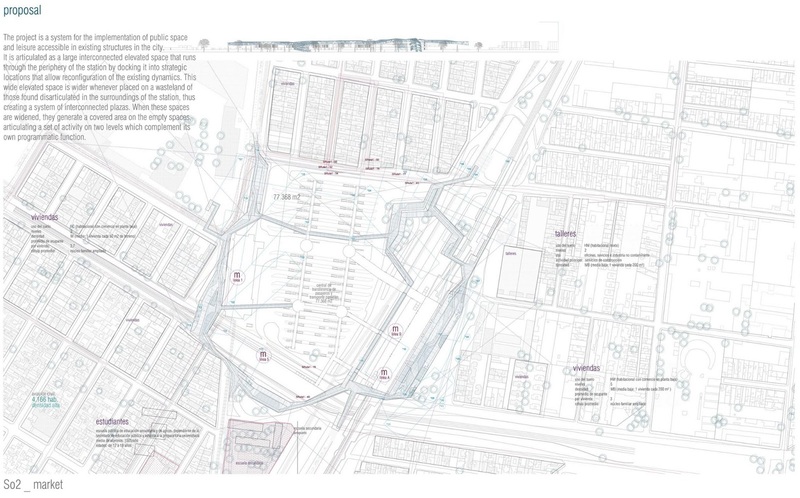 The project is a system for the implementation of public space and leisure accessible in existing structures in the city. 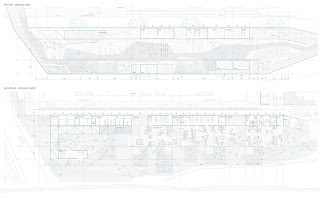 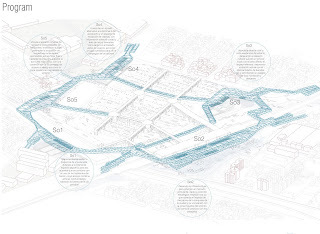 It is articulated as a large interconnected elevated space that runs through the periphery of the station by docking it into strategic locations that allow reconfiguration of the existing dynamics. This wide elevated space is wider whenever placed on a wasteland of those found disarticulated in the surroundings of the station, thus creating a system of interconnected plazas. 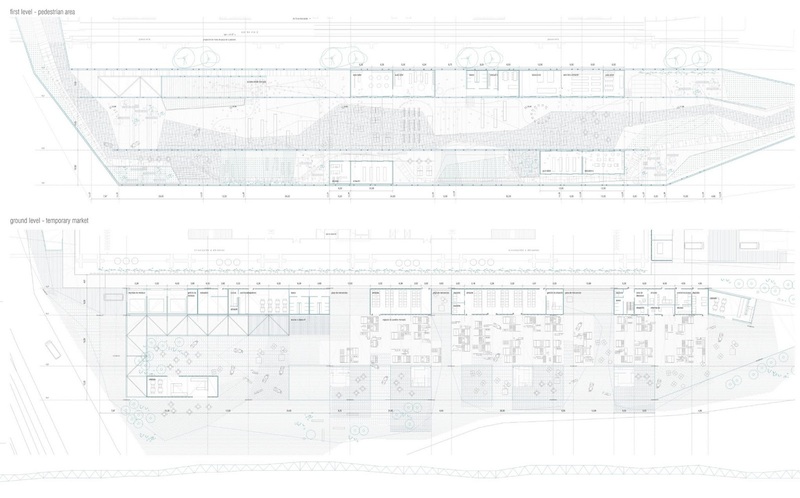 When these spaces are widened, they generate a covered area on the empty spaces, articulating a set of activity on two levels which complement its own programmatic function.